From left: Al Cave (vice-chairman, RAMMP), Don Gowan (franchisee and senior vice-president of brand and marketing, RAMMP), Greg Smith (franchisee), Robin Chakrabarti (president, RAMMP), Paul Gowan (franchisee), and Mike Gowan (franchisee). Mike and I were born and raised in Welland, Ont. Growing up, I spent all of my time at Mike’s house, hanging out with him and his brothers, Paul and Don. I always looked up to Mike’s dad, who worked as a lawyer, and later became a judge. I thought he was such a cool guy that I decided at an early age to follow in his footsteps and become a lawyer, too. Today, I’m an assistant crown attorney in Niagara—largely due to Mike’s dad’s influence! The brand was founded out of a desire to offer customers an unpretentious, casual dining experience. Greg’s been like a brother to me for as long as I can remember. We grew up together, and he was my best man when I got married more than 30 years ago. Unlike Greg, I wasn’t interested in studying law like my dad. Instead, I became an insurance broker and have operated my own brokerage outside of Welland since 1994. In 2016, my brother Don, who now lives in Vancouver, was named vice-president of brand and marketing at RAMMP Hospitality Brands, Mr. Mikes’ franchisor. Having lived in Ontario my whole life, I was unfamiliar with the brand. 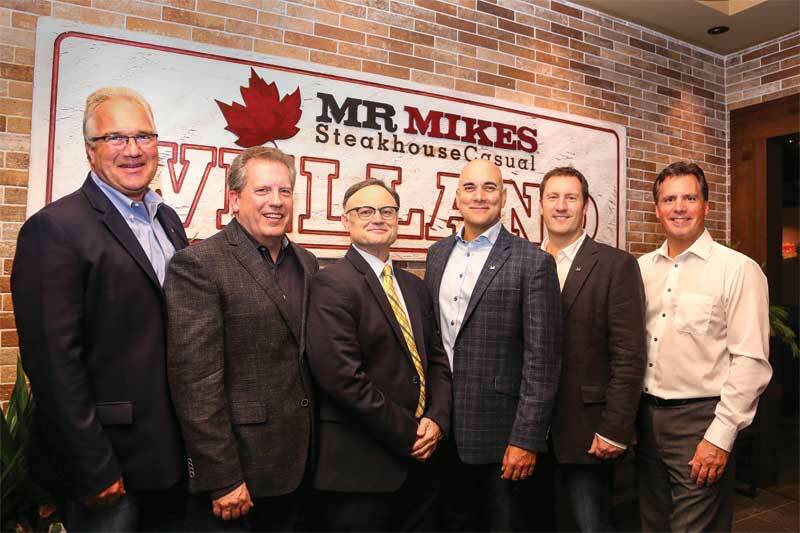 Mr. Mikes Steakhouse & Bar had become a staple in Western Canada since the first location opened in Vancouver in 1960. When RAMMP took over the chain in 2010, they rebranded it as Mr. Mikes SteakhouseCasual. 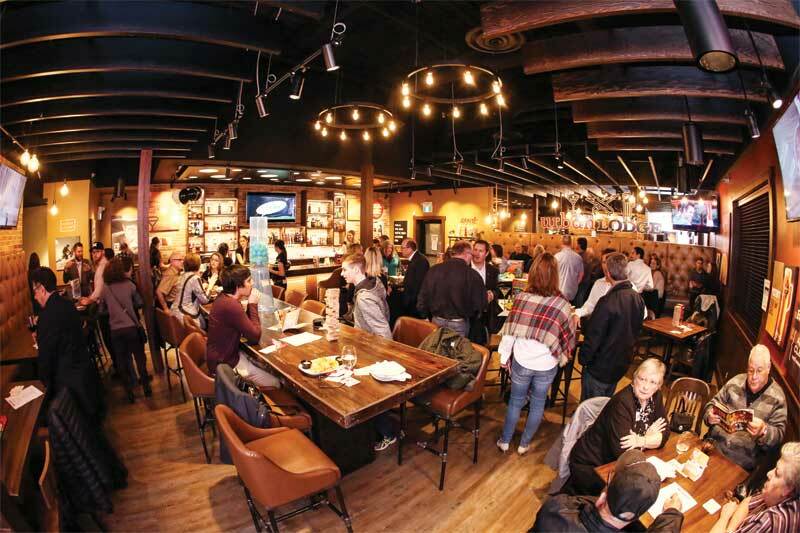 They felt passionate there was a strong desire for an unpretentious, casual dining experience—a place where families would be able to sit down and eat a good meal without breaking the bank. At its inception, the idea was revolutionary, as casual dining had not yet been invented, and the brand quickly spread. The more Don talked about his new job, the more exciting the restaurant concept sounded. Beyond the casual, family-friendly atmosphere and enticing menu, there was plenty that differentiated Mr. Mikes from its competition. When RAMMP took over the brand, the leadership team created a new floorplan that established two completely different experiences within its restaurants: a traditional dining room, where couples and families could enjoy a quiet dinner, and a bar (called the Urban Lodge) that included communal tables where groups could gather for board games and other activities. Mr. Mikes’ unique two-section restaurant layout can accommodate a range of diners. I started to wonder what the brand would look like in Welland. The city was often overshadowed by its surrounding areas, which included larger markets like St. Catharines and Niagara Falls. While there were a number of other restaurants, Welland was starving for a concept like Mr. Mikes: a place where friends and families could come, enjoy great food, and spend time together. When Don mentioned the brand was looking to expand into Ontario, I jumped at the chance. I was happy to learn that our brother, Paul, was also interested in pursuing the opportunity. When Mike approached me about going into business together, I was flattered he thought of me, and was immediately interested. We got a group together and travelled to British Columbia so we could tour some existing franchises. 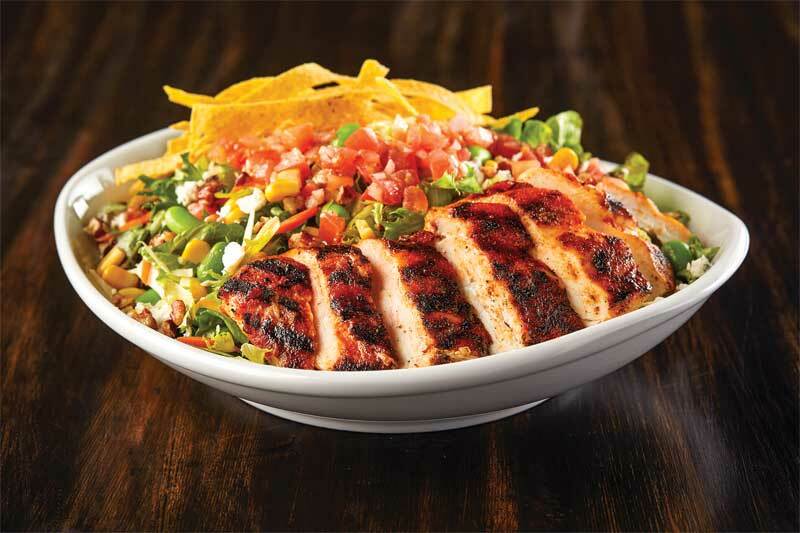 We tried the food, and loved it, and met several franchisees. Everyone we spoke to was so excited about the brand, which made us even more certain the concept would work well in Ontario. By the end of the trip, I was certain Mr. Mikes was the right choice for me—and for Welland. The city’s demographics were changing and its population was growing. We were seeing an increase in younger residents who were attending college or university nearby, as well as older residents who were selling their homes and relocating from Toronto. Welland had a fantastic mix of newcomers, as well as people who had been there their entire lives. The two-section restaurant layout would be ideal for the city, as it would accommodate a range of diners. What’s more, Welland was our hometown. We knew a lot of the residents personally, and were familiar with what would work within the specific market. After officially signing on, head office helped us find the perfect site for our franchise. It was a retrofit, located in the same complex as the city’s Seaway Mall, which had previously housed at least seven different restaurants. After contacting some local contractors who agreed to renovate the site for us, we started to assemble our management team.